Steven Emerson has 3,390,000 reasons to fear Muslims. That's how many dollars Emerson's for-profit company — Washington-based SAE Productions — collected in 2008 for researching alleged ties between American Muslims and overseas terrorism. The payment came from the Investigative Project on Terrorism Foundation, a nonprofit charity Emerson also founded, which solicits money by telling donors they're in imminent danger from Muslims. Emerson is a leading member of a multimillion-dollar industry of self-proclaimed experts who spread hate toward Muslims in books and movies, on websites and through speaking appearances. Editor’s Note: Many Americans view their country and its soldiers as the “good guys” spreading “democracy” and “liberty” around the world. When the United States inflicts unnecessary death and destruction, it’s viewed as a mistake or an aberration. There is a dark -- seldom acknowledged -- thread that runs through U.S. military doctrine, dating back to the early days of the Republic. Mohammad Kowsari is an Iranian lawmaker and he says Iran is ready to form a truth-finding committee into 9/11 and present their findings to the United Nations. Surprisingly many American citizens also want this because there was no "real" investigation into the events of 9/11. The group would find out who was really behind 9/11. Ahmadinejad called for the UN truth finding mission. Mohammad Kowsari said that forming such a committee is needed to resolve "global problems". US Muslim women's Association says Muslims have been unjustly scapegoated and calls for new independent investigation of 9/11. 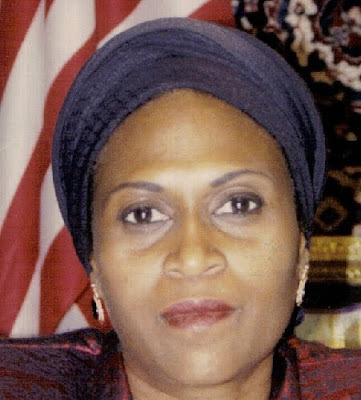 In an attempt to set the record straight and to end false and unproven allegations that it was Muslims who planned and carried out the devastating and criminal attacks on the World Trade Center in NY City, and the Pentagon in Washington DC, on September 11, 2001, a national Muslim Women's organization will provide proof during an international radio broadcast, that Muslims did not carry out those attacks. Contest: Submit Your Toughest Building 7 Question and We'll Ask It! Lehigh Valley, Pennsylvania - Lehigh Valley 9/11 Truth announces, today, that it will be giving residents of the Lehigh Valley the opportunity to go straight to their Congressman with their toughest questions about the destruction of Building 7. How was the building destroyed? How was freefall possible? How did nano-thermite get into the debris? Who committed this horrible crime? And, why? It's been nine years. We feel that your Congressman ought to be able to give you a straight answer by now on just, exactly, what the scoop is about Building 7. Lehigh Valley, Pennsylvania - "It makes you think," said a local firefighter at the Wilson Borough Firehouse on Monday, September 13, after watching the 10-minute version of Richard Gage's Blueprint for Truth DVD with about five of his other fellow firemen on the big tv screen in the lounge area inside the firehouse. "Lounge" is hardly a word that describes the occupation of these men: the alarm sounded twice during my short visit with them; once for a fire, and a second time for a personal health emergency. The first alarm dispatched about four men; the second about two more, leaving about five or six to view the Blueprint DVD. Just another day on the job in the life of the Easton firefighters, it would seem. And, these men, as a group, were well aware of 9/11, and their Chief, Mike Collins, knew just how many firefighters lives had been lost on that day: 343 to be exact. In a recent interview with Keith Olbermann of MSNBC, September 11th Families for Peaceful Tomorrows national spokesperson Donn Marsh O'Connor delivered an emotional statement in support of construction of the Muslim community center six blocks from the site of the former WTC and the crimes and murders of 9/11/01. Having lost her own child in crimes of 9/11, her voice and face showed great emotion that was not lost upon her respected MSNBC interviewer, Keith Olbermann. Evidence of the controlled demolition of the World Trade Center and other crimes on 9/11/01 reached a crowd of about fifty enthusiastic listeners in Livingston Manor, NY, thanks to event host and author Sander Hicks. The event was held at King's Catering Hall on Old Route 17 from 1-5 pm on a rainy Sunday afternoon. Topics at the event ranged widely, covering different aspects of the Truth movement, including social activism and even the formation of a new 'Truth' political party. But, certainly, the most important evidence of the 9/11 crimes was presented at the event by the well-researched heavy-hitters Masud and Gage. This article will focus on that evidence. I dedicate this original song to all the hard-working people at "We Are Change." You guys are a continue source of inspiration to us all. Thank you!! Lehigh Valley, PA - On Saturday, July 3, 2010, the Architects and Engineers for 9/11 Truth petition, which demands Congress start a new and independent investigation into 9/11, hit the 10,000 signers mark.